Will Hipsters Keep The Peugeot Legend Alive In America? There's a whole generation of American car enthusiasts out there who have very limited experience with Peugeots, and that gap is growing. The French automaker, which is big pretty much everywhere in the world except North America, dropped out of the US market in 1991. That's not stopping a man from Northern California from trying to breath some life into the flagging Peugeot following in the States. In fact, he was part of a small group that met up last weekend in Berkeley, Calif., and documented some pics of a 405, 504 some 505s and one extremely tasty 205 GTI. I'll bet that little thing is a lot of fun. Sina Pourcyrous brought his 1983 505 Sedan with a mismatched trunklid to the meet and snapped some pics. He's a 20-year-old from NorCal who told me he inherited his Peugeot from his father and hopes to spark some new interest in cars like his, especially with car buffs his age. "It's definitely an acquired taste. My friends are sort of hipsters, though, so they like it," Pourcyrous said. 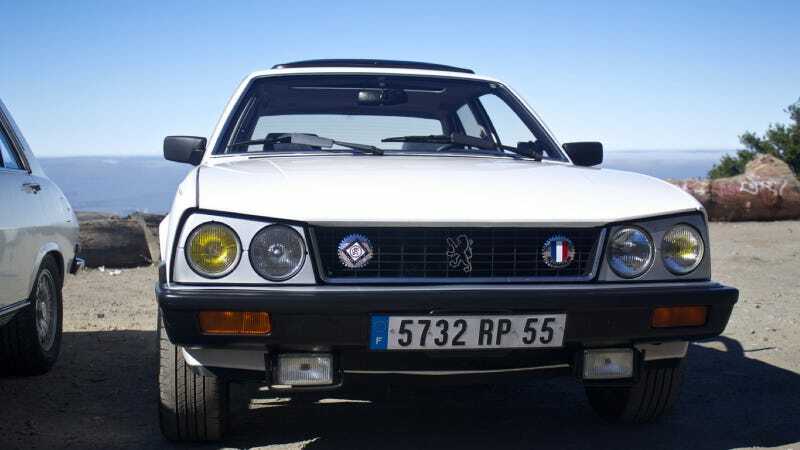 Pourcyrous said while finding parts and parts cars for his 505 isn't impossible, enthusiasm for the 1980s Peugeots is low – but on the uptick. Marc Maksimow – who lives in LA and owns two 205 GTIs and a Peugeot lunchbox – organized the outing and Pourcyrous hopes it'll be an annual tradition, with interest now extending into Oregon. My own experience with Peugeots is pretty limited. My father tells a story about me being briefly trapped in the back of a 405 Sportwagon when the seatbelt failed and wouldn't let me or the car seat I was in free until a man from Peugeot came around and fixed the problem. But I'd gladly take a clean one of those late-model 505 Turbo Wagons for some light hooning. Flip through Sina's pics to see some stateside Pugs. What's the Peugeot fan club like in your area? Or is there one? And is the Peugeot 505 now a hipster car? All photos credit Sina Pourcyrous. Used with permission.